The imposing 14th-century Genoese fortress above Çeşme's harbour, and a drop of resin from a mastic plant. The playground of Turkey's gilded youth, Çeşme, and neighbouring Alaçatı, have managed to retain their azure beauty. They lie at the end of an isthmus due west of Izmir and have long been a popular holiday spot, particularly with windsurfers and kitesurfers. 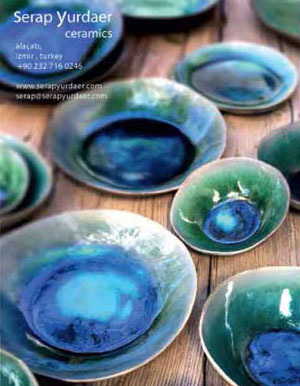 With a liking for slow food, Alaçatı hosted the Vanishing Tastes Festival in 2014 and 2015. Local specialities include a fish sauce made with mastic resin. Mastic is grown on the Greek island of Chios, opposite, and Berrin Torolsan writes about recent attempts to grow it on the mainland in Man, Myth and Mastic (Cornucopia 55). The area has been settled since antiquity, when Çeşme was known as Lysos. The town took its place in Turkish history books in 1770 when the Ottoman navy, trapped in the harbour, was sunk by the Russians, though not before the Russian flagship went down, too. Çeşme's strategic position guarding Izmir Bay at the western edge of Anatolia has resulted in a fine castle fortified by the Genoese and Ottomans. Ilıca, to the west of Çeşme, has a good beach and is known for its thermal spas. To the north, the Karaburun Peninsula, which protects the Bay of Izmir, has a backbone of mountains that ensure it is a quieter place. With an average of 330 windy days a year, the meteorologically-minded might see Alaçatı as Turkey’s answer to Chicago. However, comparisons to Saint-Tropez are generally more forthcoming, and the wind-surfing, the long sandy beaches with shallow waters and the party vibe – Alaçatı is the summer home to the famous Istanbul night-spot Babylon – help them stand up much better to scrutiny. Yet, this being the Aegean coast of Turkey, there is still plenty to commend the town to those seeking a calmer atmosphere. There are good views of the town from the castle, and there is a small museum in the Umur Bey tower. Cezayirli Gazi Hasan Pasha, the statue in front of the castle, is the hero of the 1770 battle, with his pet lion, which he brought from Africa and went everywhere with him. 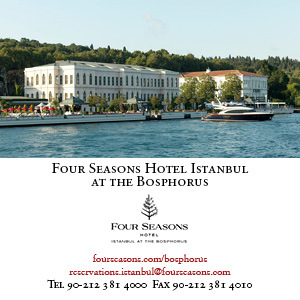 A nearby Ottoman caravanserai dating from 1528 is now a handsome 29-bed boutique hotel and restaurant. Just a short distance from Izmir’s Adnan Menderes Airport – hire a car or take a taxi or bus. A major highway connects it with Izmir. The Greek island of Chios is in sight, and there are regular ferries here, as well as to Italy.